Fruit Tingles- A baby blanket. 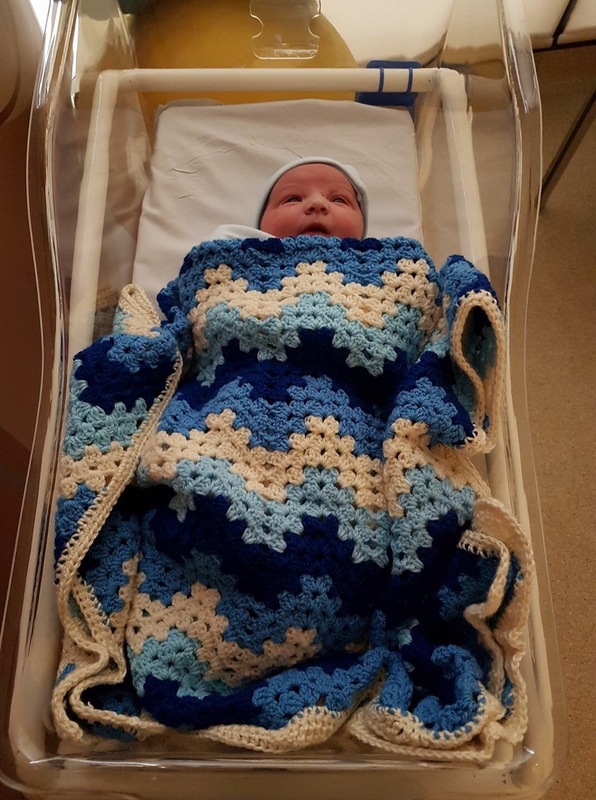 But then one of my daughters tells me her friend was having a baby and l know this girl and l like her so l said “I’ll make the baby (a boy), a blanket” l used a new pattern a “Granny Ripple” it crochets up quickly and you don’t have to think too hard about it. So l chose shades of blue and cream. The Mother loved the blanket and so l’m glad l put the effort in. This is “Fruit Tingles” my daughter named it. 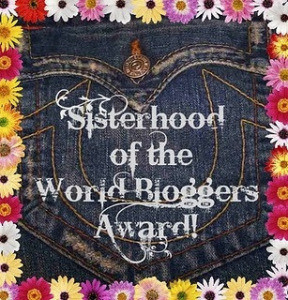 This is for another friend of hers. I had a bunch of baby yarn on its own too thin to be useful BUT put two or more colours together and use a larger hook, well its pretty! 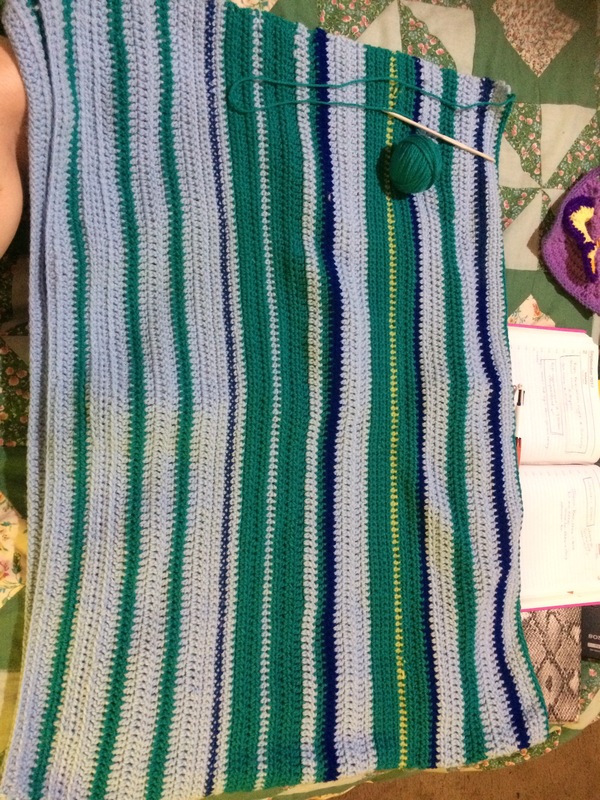 It’s creating its own stripes on the “corner to corner” blanket which is on its own a plain blanket but l usually zoosh it up with a fancier border. This is a WIP (Work in progress) l’ll share more photos when it’s done. Next big project? Well l’ve decided l cannot escape blankets so l’m going to crochet “Blankets for the homeless” My daughter went into the local Facebook page and told people about my “Random Acts of Kindness” and how for my 50th Birthday l am going to make blankets and give them to homeless and she suggested if anyone wanted to get rid of any yarn she would take it for me to use! One lady came over with a bag of beautiful yarn and two more are waiting for Amber to go collect some yarn from them! I plan to mix these blankets up a bit so no yarn will be turned away. I don’t expect them to be pretty but they’ll be useful, l will have to let go of my “preciousness” and understand that nothing will nessecary match but hey, l’m not keeping them l am forwarding them on! Wish me luck!! Week 35- l got the whole week done but did not finish the final Square! 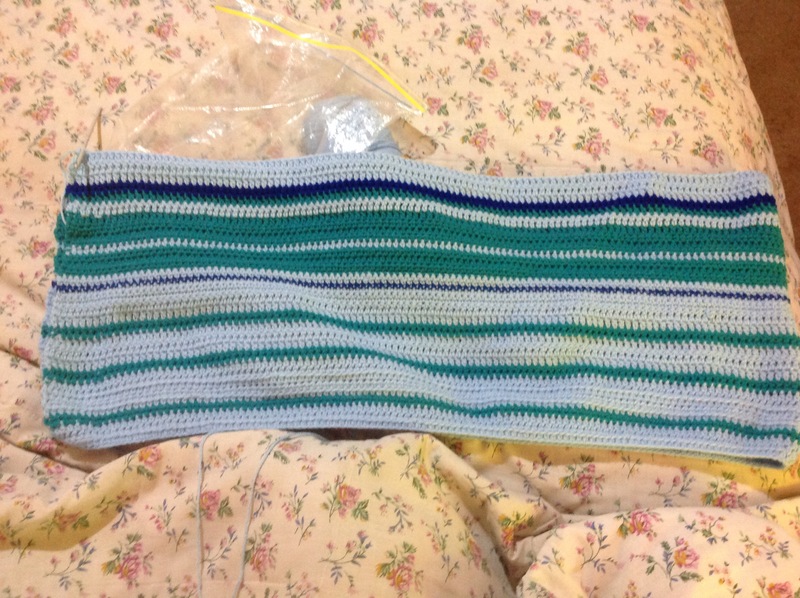 And here is week 8 of the second half of my Temperature blanket. Happy Father’s Day to all the Dads and Grand Dads out there! 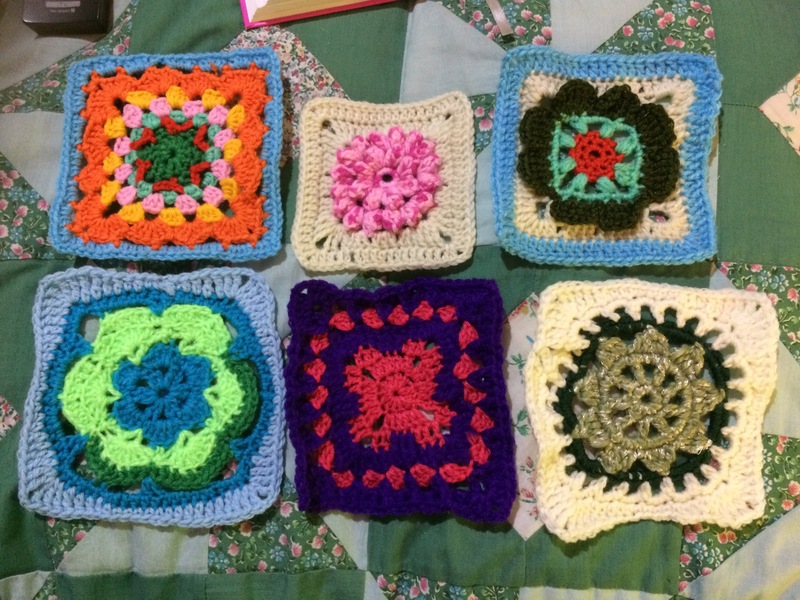 Week 34- I only missed one square (I must be starting to feel better!) it looked like this…. I am constantly amazed that A- I’ve kept on going even while l’ve been so sick and B- I haven’t gotten bored yet! Tonight was number 239 wow! Only 117 to go! This week in Crochet Land! Week 33- despite being so sick l got all caught up and this is how it looked! One l didn’t complete to my sick head it sounded like Nadia was speaking some ancient forgotten language l just could not keep up. The small one in this bunch was also a reject. But it’s kinda cute so l kept it l’ll use it for something. Anyways l am all up to date! 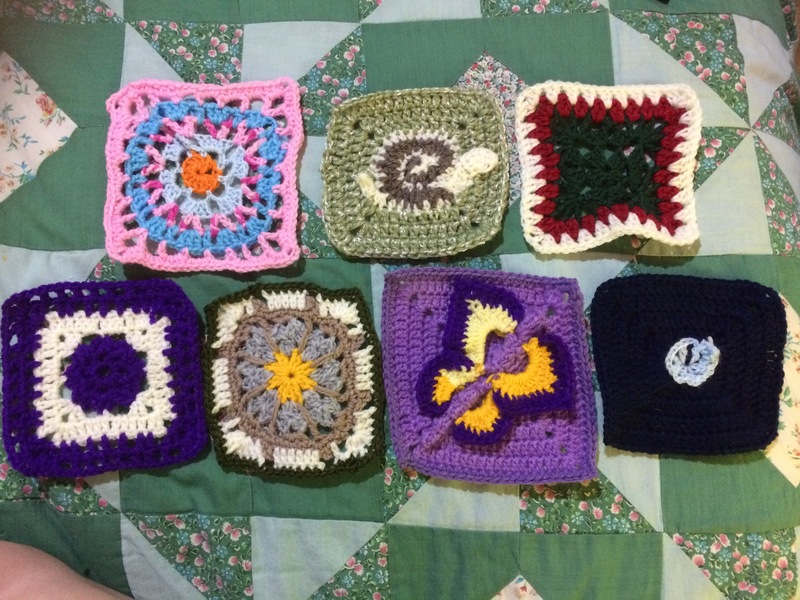 This week in crochetland, I actually managed to get all seven squares done… so week 31 looks like this. 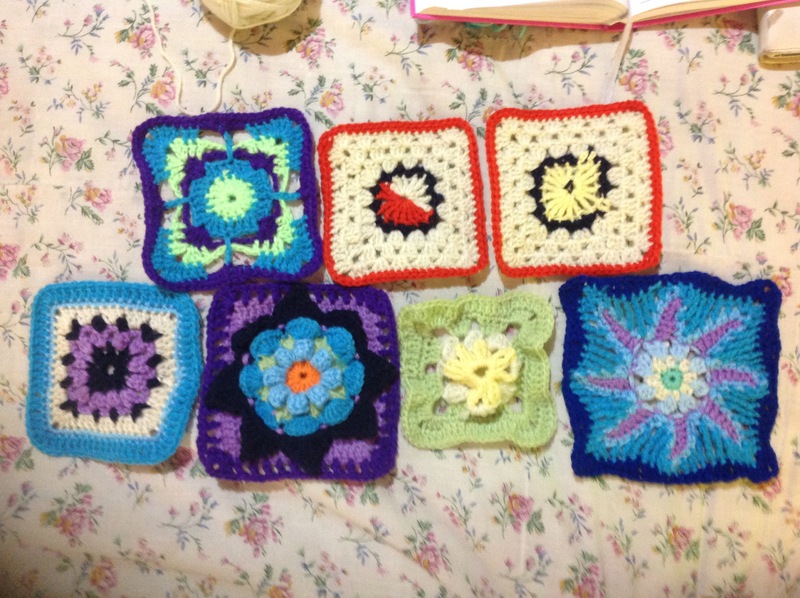 And then one row each day for my Temperature blanket. Here in Australia its winter and as you can see its been fairly mild. Light blue represents temperatures 10-15c ( about 50-59F) the greenish colour represents 16-20c ( 60-68F) then we have the dark navy blue that was when it was under 10c and thats cold for me. One more month of winter left woo hoo! I decided to do my tempertaure blanket in two sections because it would have ended up massive if I did the whole year in one, so this one started 1st July. If I were to do this again I would make a few tweeks but over all its been a fun challenge. I would also make the temperature increments smaller, to show the different temps. Its folded in half here it actually measures 40 inches across. Each week I do one stitch for the whole week, this week I used double crochet. This coming week I’m back to single, then half double then double again. I also under estimate myself as well. 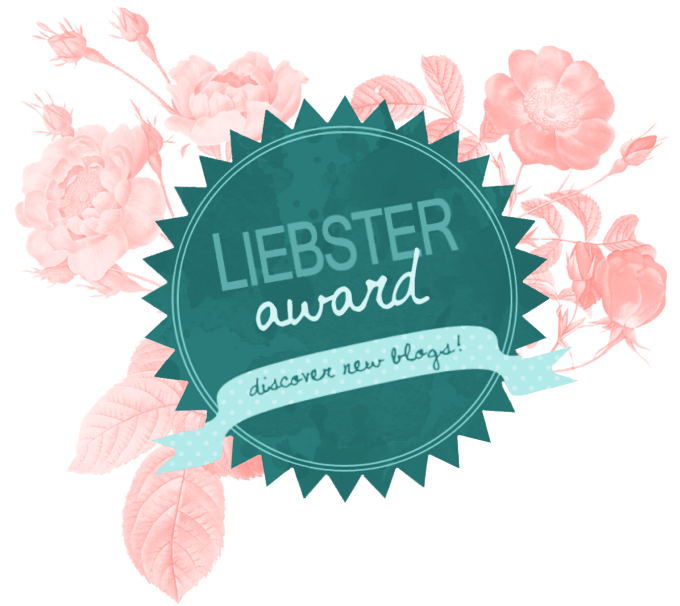 I always talk myself down and suggest “I can’t do that” when in fact if l try l usually can… well, hold on there was that one time with the zig zag granny blanket. I pulled it out and started again five times the sixth time l gave up! So l’ve been having a spate of baby blankets, one for my niece, which in turn convinced my daughter that my newest grand daughter, Faery girl needed one, so l made her one, then l made one for my middle girl child that was nightmarish! Then l made one for a friend of my first daughter who was having a baby shower, it was a rainbow blanket and l fell in love with it! So enough blankets l needed some fast projects, so l decided to make a dress for my doll which has been made a replica of my first Grand baby Sweetpea! Then number one daughter and my niece both commented they would dress their daughters in that dress! So l decided to make then each one. My niece is due mid November so l started one for her baby shower which was last week however l didn’t get it finished in time, luckily l had made a nappy cake to take, my two daughters and l pooled our money and made a three layer nappy (Diaper for our overseas friends) cake. So anyways l’m keeping it now until she’s born. So the rush was gone l decided to add a bonnet and some booties. All the time wondering if l could even do it! Well tonight l finished the set and l’m pleasantly surprised with how good it’s turned out. I always feel nervous making things for other people my mind questions.. 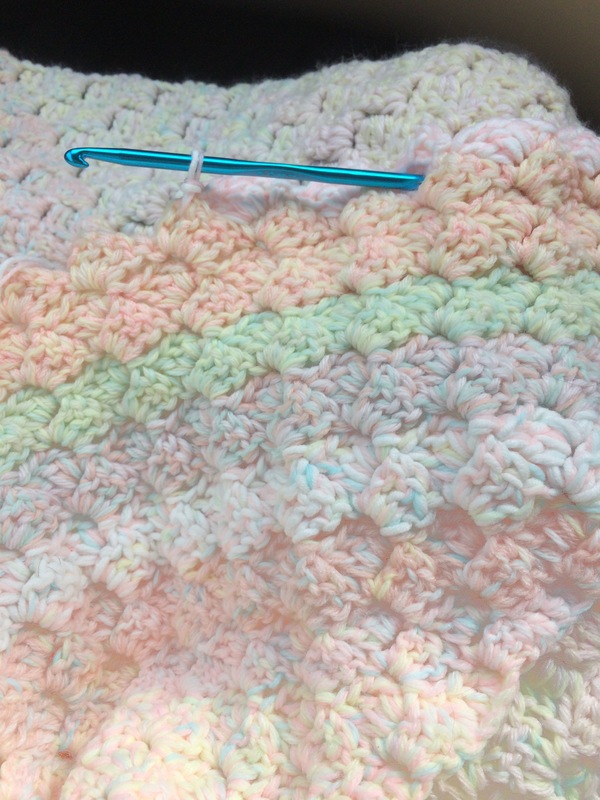 When my daughter took the rainbow blanket l told her “if the pregnant friend didn’t like it, bring it back l’ll make her something else” from reports she loved it. For our trip to Moruya New South Wales, to collect our camper. 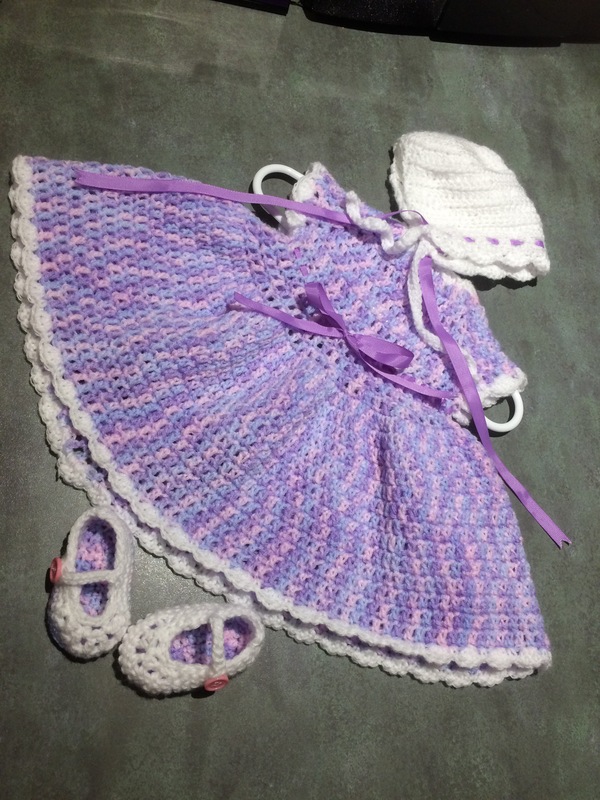 I promised to come back yesterday and tell you a bit more about Moruya, I’m sorry I missed out on coming back, I’ve been working flat out on a crochet project, I made a rainbow blanket for my daughter to give as a gift at her friends baby shower tomorrow. So I needed to finish that, so I could wash it and have it dried and wrapped ready for my daughter to collect. I must confess at the start I didn’t like the colour scheme I kept having this internal dialogue about the colours, but then I reminded myself this was “not for me it was a gift, I didn’t have to love it” needless to say by the time I’d come to the end of the blanket (which was 7:30am! This morning!!) l do love it and I will probably end up doing another one similar for my Grand Daughter Sweetpea, she was convinced “It’s mine Grandma” I kept telling her ” No its for a baby” she insisted it was for “My bed now Grandma” so I guess I’ll be making her a rainbow blanket too! She’s such a funny little thing, she picked up my crochet hook before I could race back and rescue my crochet from her, and she tells me very seriously “I do sticking” she meant of course my crochet hook, and she tried her best to poke the “stick” into the stitches. Maybe when she’s three I’ll start teaching her to crochet! 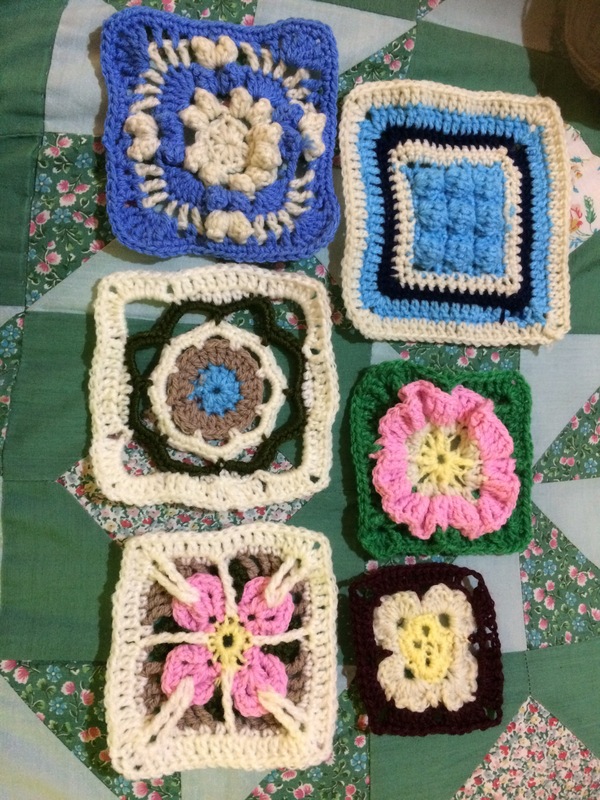 My Aunt taught me when I was about ten, I started crocheting my own “granny squares” with the left over yarn that she was using to knit sweaters. Let me share some info about what I’ve found out about this little town, I’m so excited we are heading off tomorrow and will arrive mid afternoon Sunday! Moruya is a town in New South Wales, Australia, situated on the Moruya River, on the far south coast situated on the Princes Highway 305 kilometres south of Sydney and 175 kilometres from Canberra. At the 2011 census, Moruya had a population of 2,531 people. The town relies predominantly on agriculture, aquaculture, and tourism. Moruya is administered by the Eurobodalla Shire council and the shire chambers are located in the town. Wikipedia. I know right! I’d never heard of it either. But I am excited to get there and explore. There’s a museum there showcasing the dairy industry in the area, but mostly its poular for its nature based places, Moruya Head and National Park walks like the Bingi Walking Track.. I have a feeling that we won’t see all there is to do there, but thats Ok it just means we will have to go back again! 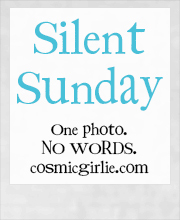 So be sure to check back in the next few days where I’ll start posting my photos.